If you grew up listening to records, you know that it was the coolest thing to have back in the day. People would spend hours listening to records. If you thought these days were long gone, you could think again. Vinyl has come back and this time, it is a force. There are no signs that it will be going out of the entertainment scene anytime soon. With the return of turntables, many manufacturers have come up with different designs of turntables that have different features. This makes it tough to choose one among the many choices. Do not worry. We have a turntable to test and here we will do a Denon DP 300F review. You should really consider getting this product if you are looking to buy a new turntable for your records. If you are looking for turntables under 300$, Denon DP-300F is the turntable you need to be considering. This turntable has amazing features and will definitely give you the kind of performance anyone with a record player wishes to have. Below are Denon DP-300F specifications. Platter – The vibration resistant turntable sheet is about 5 mm thick and uses hologram vibration analysis to improve its ability to hold on a record. Here is a link to Denon DP300-F user manual: Denon DP-300F owners manual. You can read this online or you can download it, as you prefer. One of the features you will love about the Denon DP-300F is the start-up function. This feature enables the turntable to play a record by just a press of a button.This is amazing especially if you are used to the older days type of turntables that required everything to be done manually. This turntable is also made from a die-cast aluminum material that is very rigid. What this does is that it enables the turntable to have a uniform rotation which in turn prevents flutters. With this turntable you also have a chance to connect it to an amplifier. This is made possible by the fact that this turntable comes with a phono equalizer that is built in. This turntable has 33 1⁄3 and 45 RPM speed to select. If you still want to enjoy some of the 7” single records you have from back in the day this is another reason why you should consider the Denon DP-300F. It comes with an MM cartridge which enables you to do exactly that. It keeps you in the present with great music and allows you to go back in time through your old record. It simply does not get better than this. Denon DP-300F test has proven that this turntable has some advantages and it is one of the best record players under 300 $. One of the benefits of this turntable is the fact that its body is made of aluminum. This is a feature that reduces the amount of vibration that comes from the motor. You will notice that most of the turntables in the market that are expensive are made of aluminum. The cheaper ones are not made of this material because the manufacturers know that this material would make their product more expensive, and fewer people would buy. This means when you purchase this product, you will be assured you are receiving a high-quality product. 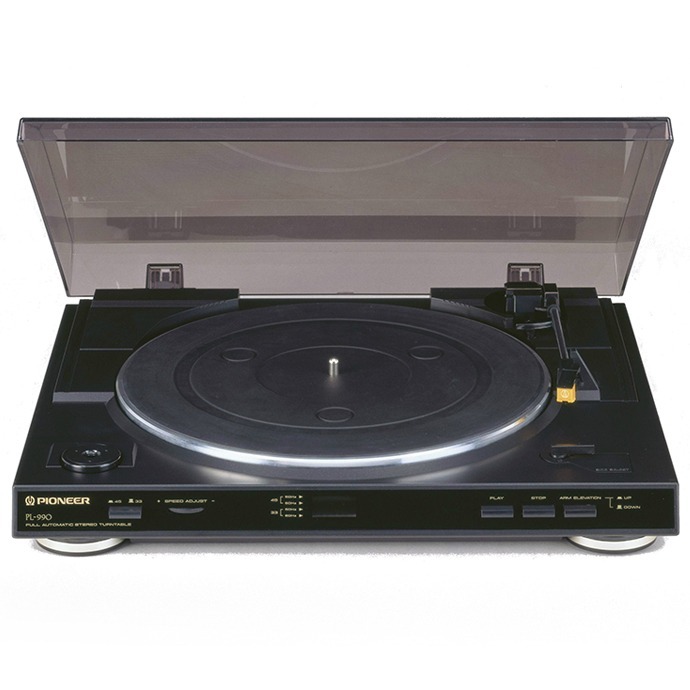 The other advantage you get from this turntable is the fact that it is automatic. You do not have to worry about placing the stylus and the arm on your vinyl since the turntable is designed to do this automatically and in a gentle way. This way you do not have to worry about your vinyl getting ruined by too much force when the arm is placed. This is a feature you will have a hard time getting in competing brands since the Denon DP-300F is one of the few companies that have incorporated this feature into their product. The next great thing about this turntable is its great design. 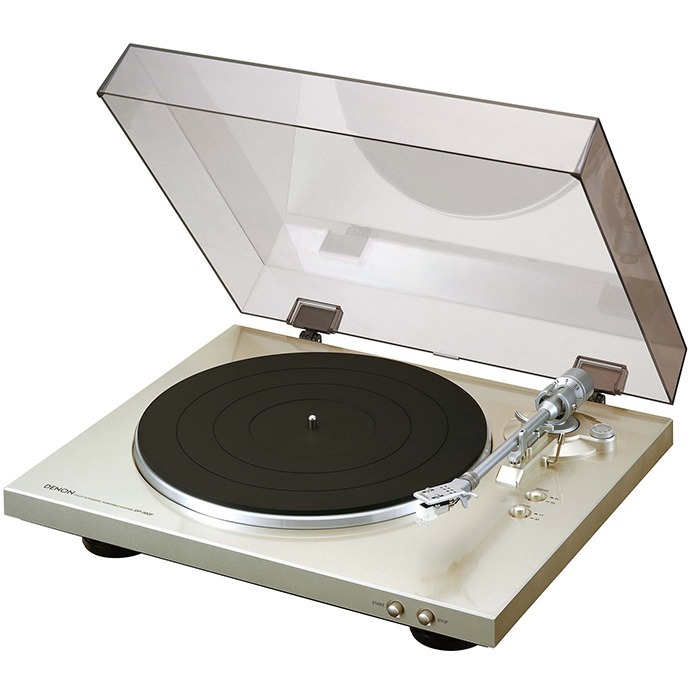 Well, there are turntables in the market that do not have an excellent design, and they have a very old appearance. If this is something you have a problem with, you will absolutely love Denon DP-300F. This is a product with a simple but standout kind of design. You have the confidence to have it in a place where your guests can see it. Anyone who knows a good turntable will definitely ask where you got it. Last but not least, this turntable has a fantastic sheet. 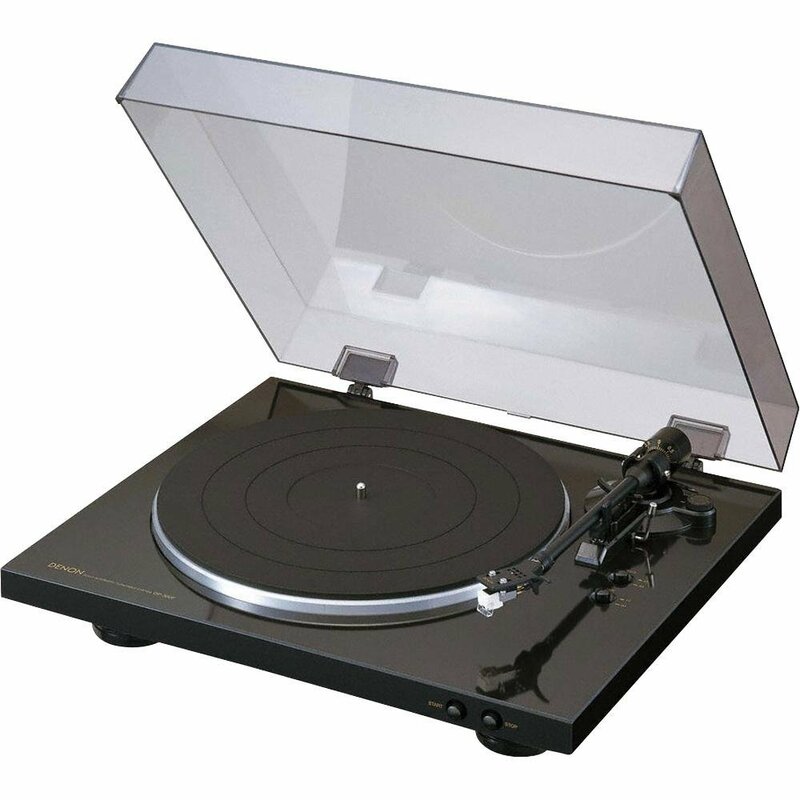 The turntable platter was made using hologram vibration analysis, and the sheet is about 5mm thick.This not only enables it to hold the record very well but also improves the sound quality in a great way. These are some of the things you need to be paying for when choosing a high-quality turntable. The great thing is that Denon DP-300F has all these and more to offer. You can, therefore, be assured you will be getting your money’s worth from this product. Every product has its good and bad. The same goes for Denon DP-300F. One of the disadvantages of this product is the fact that it only comes in black and silver. If you are the kind of person who loves colors, this might not be the product for you. You might have to look for another product with a few color choices. The other disadvantage of this product is the cartridge. 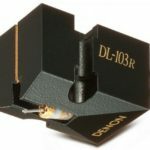 The cartridge on Denon DP-300F is not bad. 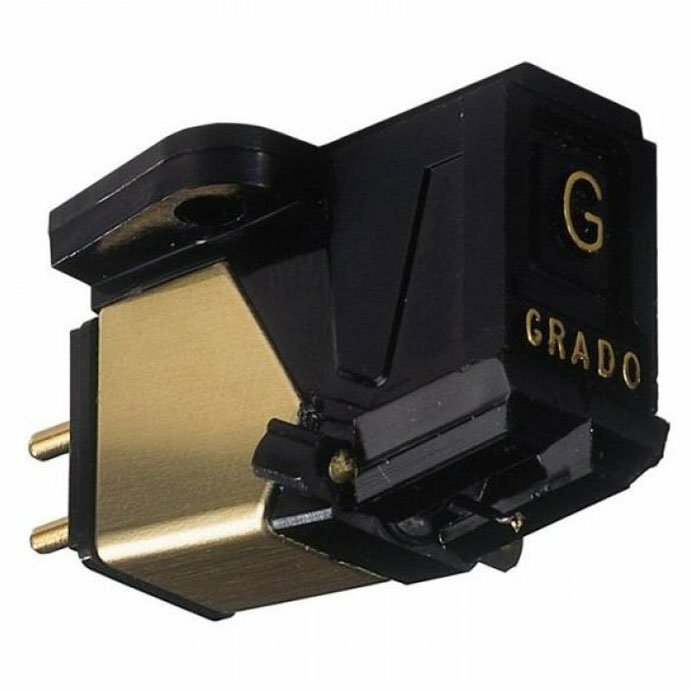 However, there are better cartridges on turntables in the market that produce a better sound quality that you will get on this turntable. However, the sound quality is still high and worth it for a 300$ turntable. We recommend Audio-Technica AT440MLa Dual Moving Magnet Cartridge. Lastly, this turntable only got 2 speeds: 33 1/3 and 45 RPM. 78rpm is impossible on this turntable. This might be a disadvantage for some, and it might not be for others. It all depends on what you prefer and what kind of records you own. In conclusion, Denon DP-300F has many advantages that clearly outweigh its disadvantages. All these product’s weaknesses are things you can live with. It is a product that gives excellent quality sound, it is durable, has great design, and has an automatic feature and many other impressive features you might not get in another turntable today. The best thing about it is the fact that it is very affordable. If you are looking to purchase a turntable, it is advisable to get this product; you will not be disappointed. If you want to check some other turntables under 300 $, please read this turntable reviews: TEAC TN-300 Review and also Audio-Technica AT-LP120-USB Review .